I’ve been given a cool opportunity to contact a few people involved with this year’s Country Living Spring Fair, happening in Islington from March 24-28. Come back for more later this week. 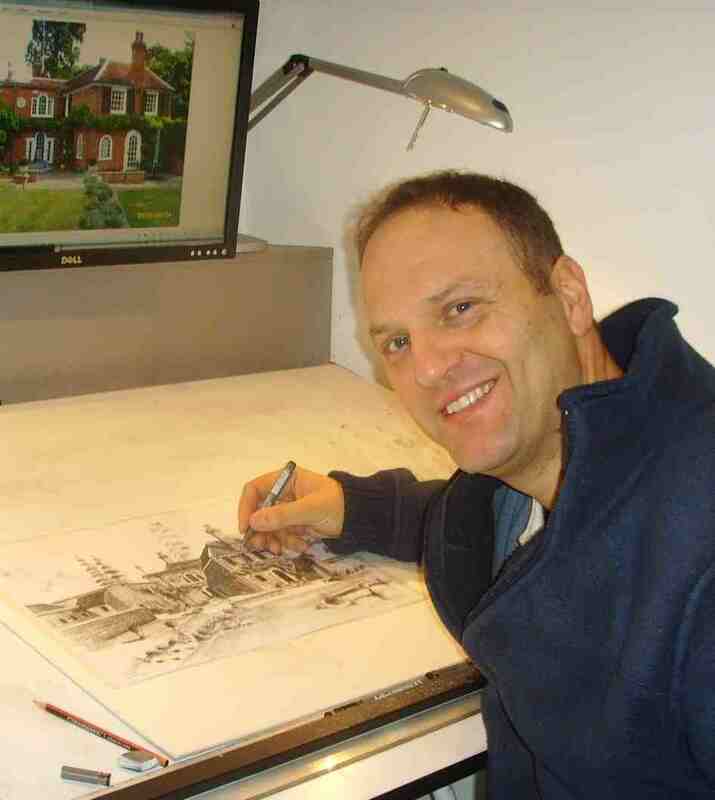 This is the talented Eli Ofir, who creates portraits of houses in ink, pen and pencil. He’s taken a few minutes to tell us about what to expect from his work on show at the fair, show us a few samples and talk about a gentleman who mentored him for 20 years and still influences his work today. LLO: Tell us a bit about your work and your contribution to the Country Living Spring Fair. 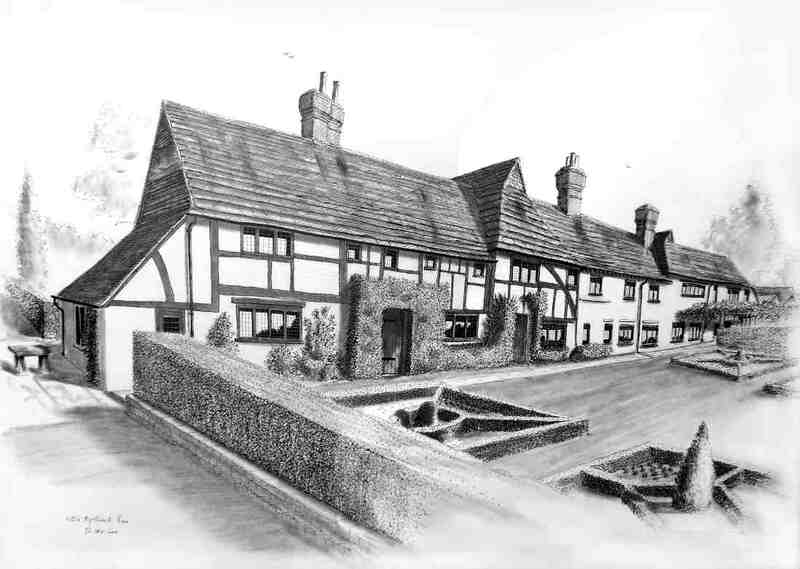 EO: I create hand-drawn, black & white, detailed portraits of town and country houses, done in pen, ink and soft pencils. I become very emotional and excited when I draw a beautiful house. 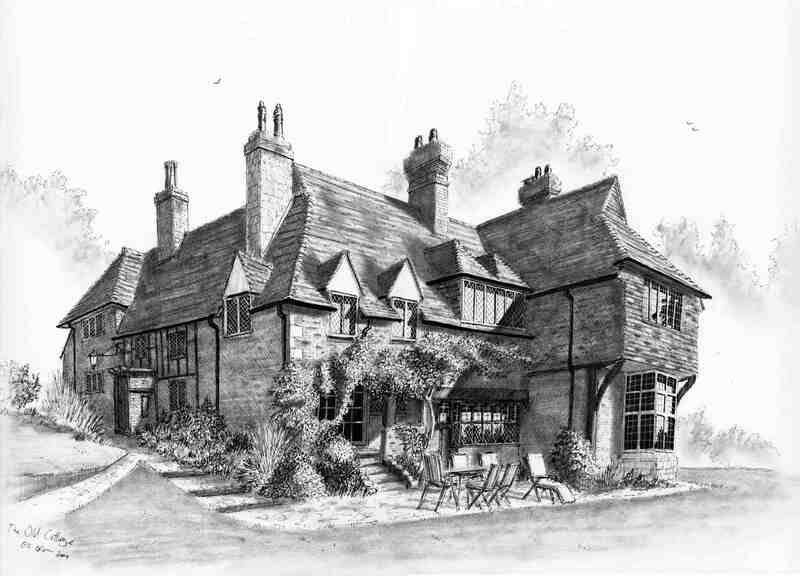 The fine detail of the pen work takes me on a magical journey where the history of the house is revealed with every brick and stone that becomes immortalised. The uneven lines of the roof, walls and beams just deepen this mystery. This is why I slightly enhance these elements to bring out the warmth and personality of the house. This ‘gentle twist to perspective’ is unique to my style and artistic signature. It transforms a house into a piece of art that tells an ancient story. Most properties do not need anything more than the slightest twist, as they are uneven anyway. One thing is certain though, my work is never a Blueprint of a house…that is something an architect would do. My passion for magnificent houses grows by the day. This is why, whenever possible, I visit the house myself to take photos and get a feel for its personality. I love to meet the owners and hear their stories about the house and its history. When a house is too far away for a visit I ask the owners to take lots of photos from as many angles as possible. This gives me a good feel for their house and, just as importantly, the way they feel about it. Some houses are not that old or they are even newly built, but they tend to use old styles of a specific era of English architecture. Those houses are interesting and beautiful on their own and I like to investigate what styles have influenced their planners. The majority of properties I work with have lots of interesting angles so many clients commission two or more elevations. Sometimes I draw three, four or even five portraits of the same house. I scan these onto a CD so that, as well as having an original work of art, owners can also print off letterheads, greeting cards, placemats or any other stationary prints they desire. LLO: You were trained by a Russian painter by the name of Meir Appelboim. How does his influence continue to be seen in your work today? EO: I was greatly inspired by Meir Apelboum, an elderly Russian artist whom I befriended whilst volunteering on a community program at school. He became a grandfather figure to me for over 20 years, until he passed away in 1999. He taught me a huge amount; in particular, a strong awareness for perspective and detail without impinging upon my openness of mind and spirit. LLO: Which piece are you most proud of any why? EO: I love all my portraits and some times have a difficulty letting go of them, as if they are my babies. One of the portraits I love is ‘The Old Cottage’ in West Sussex. It just has all the beautiful elements of an old country house. Its proportions and composition is close to perfect in my eyes and I keep a copy of it hanging on the wall in my studio. For more information on what to expect the Country Living Spring Fair, click here and watch this space. Also, if you’re interested in checking out the fair, Little London Observationist readers have been offered a special ticket price of £10.50 (instead of £15 at the door). Just ring up the ticket line no later than 1pm the day before heading down and quote “CL134”. Eli u r a great artist & person. Being an artist myself I can appreciate your fine work. Being a friend of Naama I thank her for referring me to the interview.